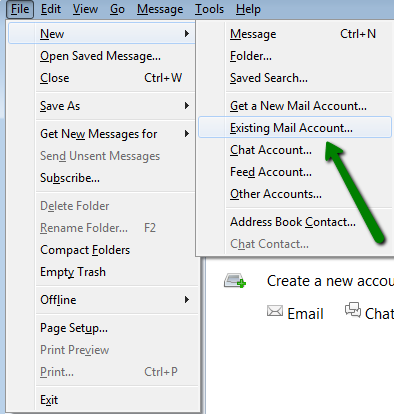 This tutorial shows you how to set up Thunderbird to work with your web-hosting email account. 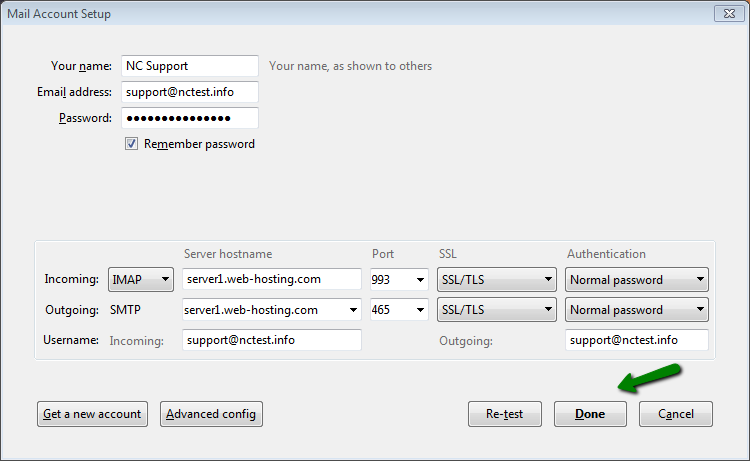 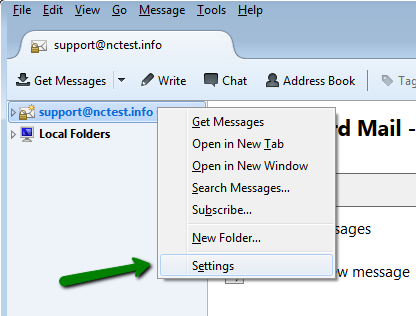 We will use a test email account example@ncsupport.com, which is hosted on our server1.web-hosting.com, to show you what to do. 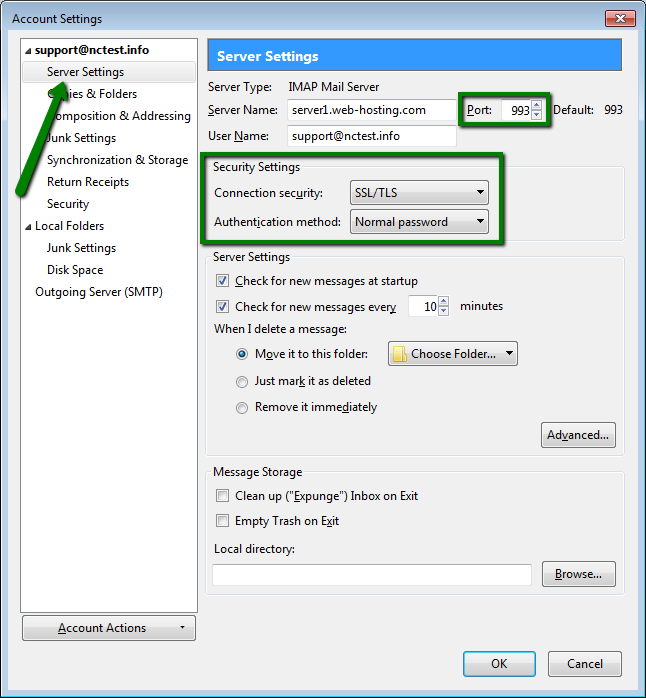 Before proceeding with the Thunderbird setup, you need to make sure you have the correct server name and that you have created a mailbox. 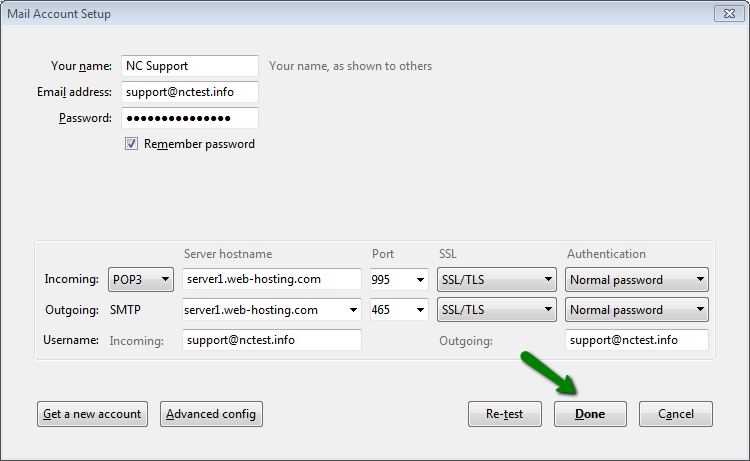 NOTE: if you use mail.domain.tld address as server name, Add Security Exception window may appear. 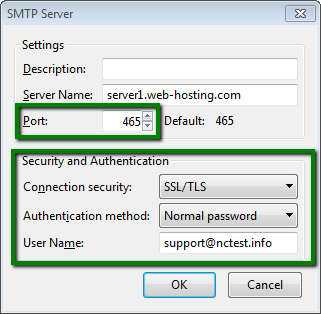 That happens, because SSL for exim, dovecot, ftp, cPanel and other services is installed to the servername and for mail.domain.tld warnings appear. 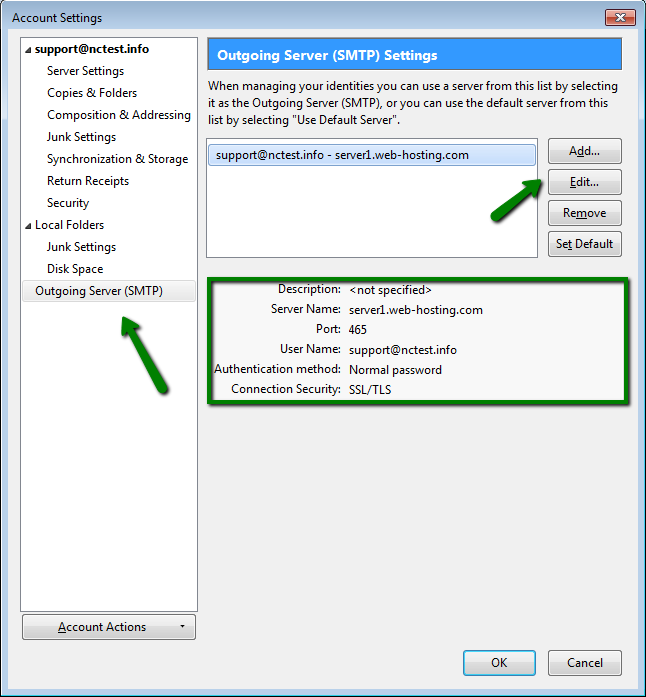 Click Confirm Security Exception button to proceed. 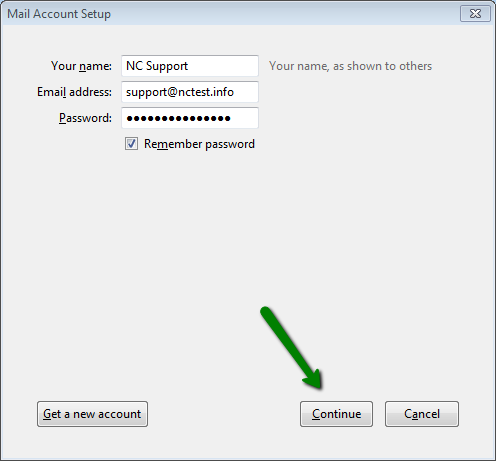 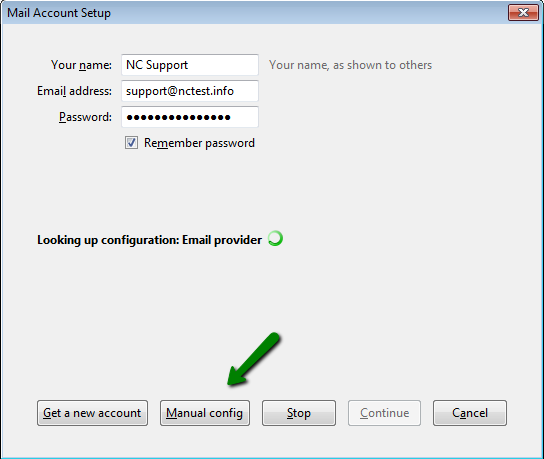 Once your account has been created, you will be able to choose additional settings for IMAP or POP3incoming/outgoing server.